Let’s face it: Even if you’ve always been confident in your appearance, growing older can be an aesthetic game-changer. Whether you’re just beginning to notice the effects of photoaging or you’re finding unwanted hair in places it’s never grown before, aging can usher in a variety of physical changes that leave you dissatisfied with the way you look. 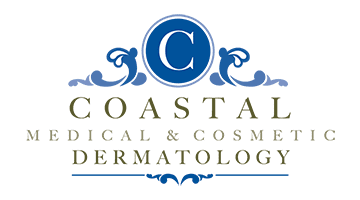 At Coastal Medical & Cosmetic Dermatology in San Diego, La Jolla, and Chula Vista, California, board-certified dermatologist Dr. Darrell Gonzales offers advanced laser treatments that can address many common concerns. To find out more, call the office or book your appointment online today. Although there are several types of cosmetic laser devices and platforms, most lasers work in much the same way. When passed across the treatment area, the laser delivers light energy deep into the dermis of your skin to stimulate collagen synthesis and tighten the underlying layers. In the case of brown spots, the laser targets excess pigments. For permanent hair removal, it targets active-growth hair follicles. This minimally-invasive, advanced technology is both safe and effective for most people, and can generally be performed on all skin types. CO2 fractional laser skin resurfacing is widely considered the gold-standard aesthetic treatment for wrinkles, age spots, uneven skin tone and texture, minor scars, and other skin surface abnormalities. The treatment uses laser energy to synthesize collagen and tauten underlying tissues in your skin. As the heated skin begins a healing process to form new healthy tissue, it becomes smoother and more youthful-looking with fewer wrinkles, age spots, spider veins, and flaws. The CO2 fractional laser is an ablative device, which means it uniformly removes thin layers of your skin in a way that’s much like a chemical peel or dermabrasion. This technique helps stimulate further collagen production. Photorejuvenation uses Intense Pulsed Light (IPL) technology to deliver a broad spectrum of light to your skin in gentle waves. As the light penetrates the skin, it’s mostly absorbed by melanin, the pigments that give your skin — and your skin flaws — their color. Much like other advanced laser technologies, IPL treatments stimulate collagen while disrupting excess pigment. Noninvasive and effective, laser hair removal is a cutting-edge technology that works by sending pulses of laser energy directly into active-growth hair follicles. Pigmentation in the follicles absorb this energy, which inactivates the follicle so it can no longer produce hair.